We use mobile devices every day in our personal lives, so why not on the job site? But with so many options at our fingertips, it can be tough to choose the right construction app for your needs. That’s why we did the digging, spoke to the experts and created an exclusive list of the most innovative apps to help you stay on budget, manage your time and grow your business. These are the six best construction apps to try in 2018. TSheets by Quickbooks allows contractors to track their workers’ daily schedules straight from the app. Workers can quickly clock in and out from their mobile device, attach real-time photos to document daily progress, equipment used and more. In areas with limited Wi-Fi availability, you can use the TSheets Time Clock Kiosk on your iPad or tablet like a wall-mounted time clock that can be used by the whole team to track work schedules. The app’s GPS location tracking also allows you to see who’s on the clock, where they are and what they’re working on, increasing safety and accountability for all of your workers. Broken equipment is always a headache, but UpKeep makes it easier to schedule repairs quickly. UpKeep is the first inventory management app that allows your workers to snap a picture of a broken piece of equipment, manage inventory, create a work order and schedule it for repair – all from your mobile device or desktop computer. Using an app like UpKeep can minimize the likelihood of a tool-related accident, increase preventative and proactive checkups and prolong the life of your equipment. Plus, the app provides a “paper-trail” for all inspections which saves you from digging around for paperwork when it comes to regulatory compliance. ClockShark is another mobile time tracking and scheduling app designed specifically for construction. The app automatically pulls the time and GPS coordinates, allowing your workers to clock in and out with only a few taps. Workers can also share files and photos to document paperwork and status updates all in one place. All of these features not only help keep your jobs running smoothly but can more accurately measure the time spent on each project, potentially saving you money on project costs. Founded in Denmark in 2013, GenieBelt delivers real-time project management, insight and overview for construction. The app specializes in scheduling and connectivity between the office and the field. GenieBelt software can optimize your construction project by offering real-time communication and collaboration abilities, mobile field reporting and easily generated construction reports. Sage Mobile Projects for Sage 300 Construction and Real Estate allows your entire project team to share and access essential project information anytime, anywhere. The app places all necessary information at your workers’ fingertips, helping field managers and supervisors to work more efficiently and keep projects on time and on budget. On top of that, it relieves your office staff from hours of tracking and entering field data into back-office systems. Sage Mobile Projects currently features Daily Field Reports (DFR) and Request for Information (RFI) and will add new capabilities to cover all project management needs in the field. ArchiSnapper is an easy-to-use field report and punch list app that saves architects, contractors, engineers, real estate developers and safety professionals time while drafting reports onsite. Usually prepared at the end of a construction project, a punch list outlines any work that does not meet contract specifications or that the contractor must complete before final payment. With ArchiSnapper, you can photograph your surroundings on the worksite, sketch, annotate and assign tasks – all from your smartphone or tablet. Then you can easily sync all of your notes to the cloud for seamless collaboration with coworkers near and far. After you start using these time-saving construction apps, you’ll wonder how you ever got the job done without them. For more industry news and tips, check out the Trades and Construction section of our blog. 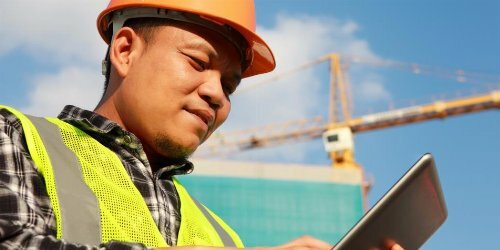 Do you already use construction apps to help with your daily processes? Let us know your app of choice in the comments below! Ready to learn a trade skill? 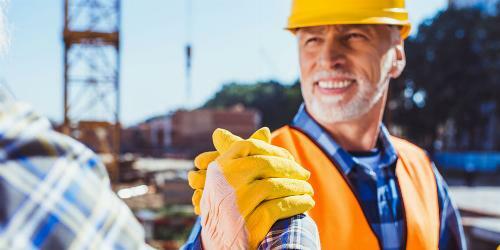 In today’s skilled labor shortage, it’s a great time to find a new job. Learn about future trends in the construction industry to find the right trade for you. The use of technology in construction is transforming the industry. Discover how new software and apps can help your business perform at a higher level.